Right the harbour begins the road that leads to the monasteries. 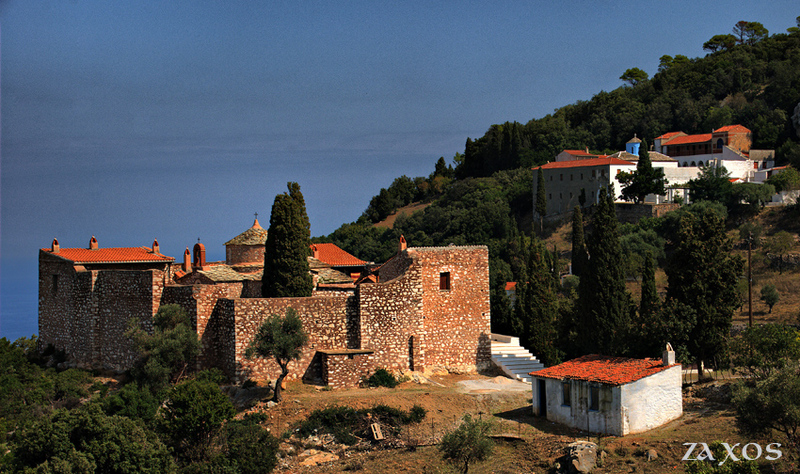 Signs will easily drive you to these Byzantine monuments of island for adoration or in order to admire their treasures, but mainly to enjoy the majestic country and landscape. 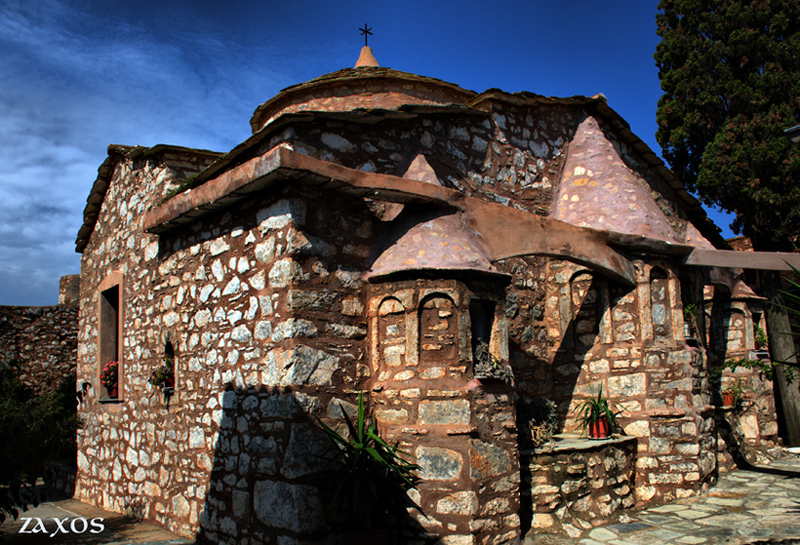 Monasteries are: Evaggelismos, Metamorphosis of Savior, the monastery of John the Baptist Precursor and his affiliated monastery of Santa Barbara. 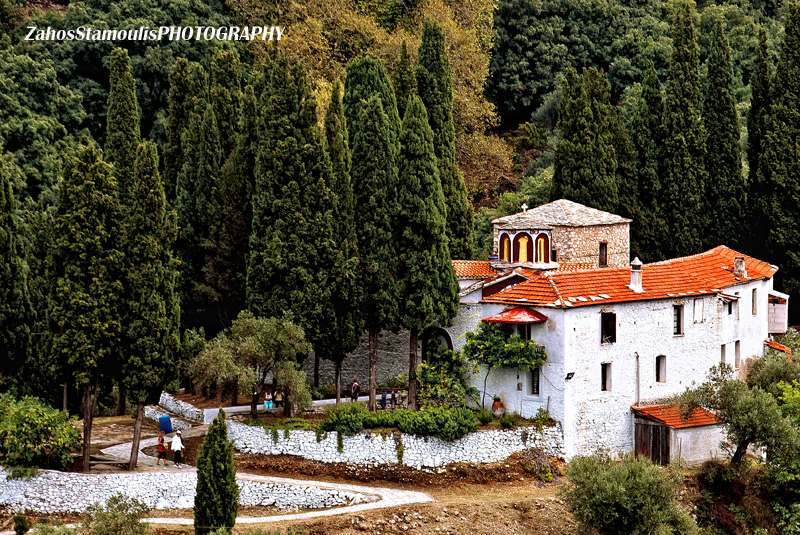 If you continue driving beyond the monastery of John the Baptist Precursor, you might see the island of Alonnisos. At afternoon time the view is majestic as the colours in the sea play with the sun light. 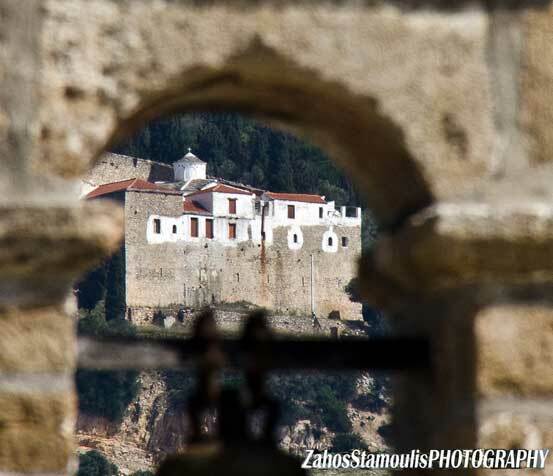 The hours you can visit the monasteries are: 8.00 in morning up to 13.00 and from 17.00 up to the 20.00 in the evening. In Metamorphosis of Savior, each Sunday is taken place the divine litourgie.